Hitting your drive down the left side will force your ball to return to the center of the fairway. 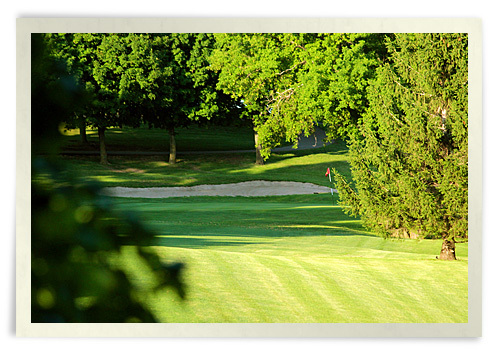 Do not be deceived by how close to the green the trees appear; if you can hit your shot high enough to get over the trees, your ball should land on the green. This green is also influenced by Lake Emily, making the green slope left to right.